The Clever Female Champion Slays Forty-seven Out of Fifty Pigeons. 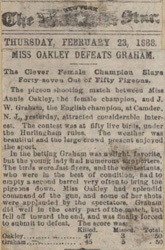 The pigeon shooting match between Miss Annie Oakley, the female champion, and J. W. Graham, the English champion, at Camden, N.J., yesterday, attracted considerable interest. 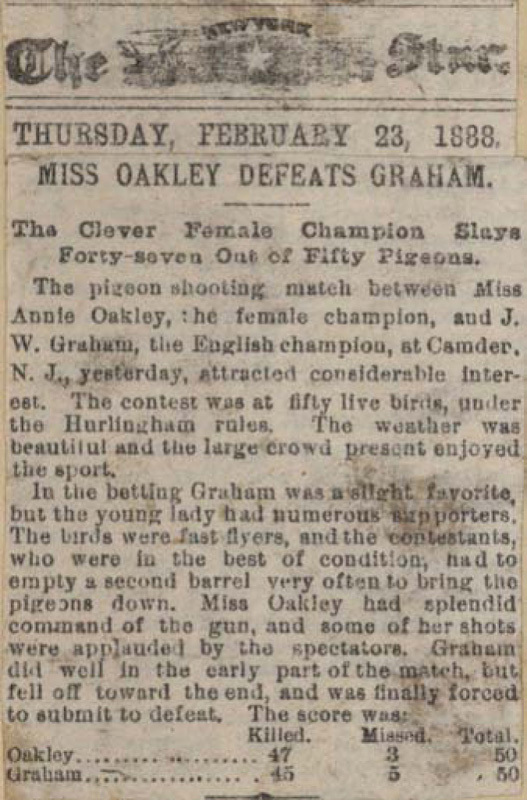 The contest was at fifty live birds, under the Hurlingham rules. The weather was beautiful and the large crowd present enjoyed the sport.